chinadialogue (CD): What moves towards a greener economy might we see in the 13th Five-Year Plan (2016-2020)? Huang Haifeng: I predict China will see a genuine green tide. If you don’t move to meet that, it will swallow you up. Some Chinese cities are seeing waves of ecological migration – people are moving in search of better environments, and that’s causing a loss of private assets. But aren’t China’s economic reforms aimed at making the people richer? We should change from the single-minded pursuit of economic profits. 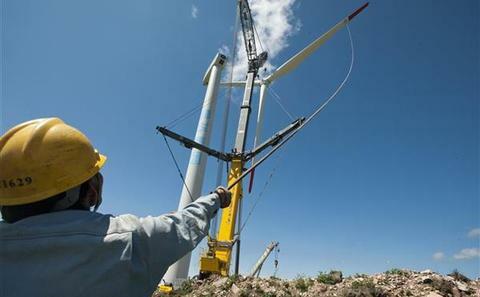 The 13th Five-Year Plan will see rapid growth in China’s green economy. China needs more green development, and the country’s leaders are coming round to this view. We already no longer rely solely on GDP for assessing officials’ performance; if environmental protection is not ensured officials are classed as not up to standard. President Xi Jinping has talked of the value of green mountains and clean water in a major speech, and this is a good sign for the environmental protection industry. There’s scope for tens of billions of yuan worth of growth in the environmental protection sector. After years of pollution and environmental disasters, it is now imperative to clean up. So I think promotion and development of the environmental protection sector will be an important part of the 13thFive-Year Plan. Luo Hongbo: The green economy will be the most important part of the 13th Five-Year Plan. As the world’s second largest carbon emitter, China’s transition to a green economy will also be important internationally. CD: Should we expect slumps in some parts of the economy as China gradually abandons its high-investment, low-technology mode of development? Will upgrades to technology and products affect European exports of industrial machinery and equipment to China? Huang: Energy-hungry and polluting businesses are bound to shrink during the transition to a green and circular economy, with more recycling. But the emerging sectors may grow very quickly; that’s an inevitable part of economic transition and indicates China’s economy is becoming genuinely sustainable. A non-profit organisation, the Ecological Development Union International (EDUI), is set to run a project near Yibin City in Sichuan, which is an example of the green transition. Luo: The EDUI project is supported by China's Ministry of Land and Resources, to promote upgrading and transition in local industry. It will be run in an old town in Sichuan's Pingshan county. The main industry there is paper-making from bamboo – it’s low-tech and polluting. The project will help the locals bring in more advanced and greener technology for processing bamboo. The making of paper by hand has already stopped. In future people will work in factories, rather than in their own workshops, to support these upgrades. There area also has unique forestry and historical resources, so EDUI will also help develop the tourist industry, diversifying the economy while protecting the environment. This is the kind of approach to development China must take if it is to be sustainable. As for European countries, they have the advanced technology and high safety standards needed in a green economy. They also have environmental protection technology. During China’s transition, it will need to import materials and technology from Europe. So that transition won’t have a big impact on Europe, there’ll just be a change in where the growth comes from. CD: China’s widespread smog has made an energy transition all the more pressing. Can Germany’s successes in making such a transition be repeated in China? What can we learn? Huang: In many aspects it is not replicable. The rapid development of solar power in Germany is down to large subsidies from the government early on, and the ease with which solar power can be delivered to the grid. As a result, community solar power schemes were able sell electricity to the grid and won part of the market. It was the same with wind power. And solar and wind power are very safe – Germany is a small country looking for steady development, so it abandoned nuclear power. Germany’s energy policies abide by market mechanisms and public views. China’s transition is strongly policy-driven, but lacks guidance from the market. Local developments face interference from vested interests and government, and it is not easy to sell power to the grid. Nuclear power developed purely because of government plans – local opinion wasn’t considered, as can be seen in weak housing sales near nuclear power plants. Local governments should solicit public opinion about new schemes and establish good environmental assessment and auditing systems. China can learn from Germany in this. Luo: The bottleneck in China’s wind and solar power development lies at delivery to the grid. Wind power has grown exponentially due to a lack of planning, but reliability hasn’t increased. Also, China has a number of separate power grids and we need better grid connection technology – this all hampers the delivery of electricity from small-scale generators to the grid. And there are also management and technological differences with Germany. Of course, we can still learn from Germany’s energy transition. CD: How do China’s national circumstances help or hinder the development of a circular economy, based on recycling and upgrading products? Huang: China has already taken on board the developed nation idea of the circular economy. It has also acquired some experience of its own and made some innovations, such as setting up circular economy industrial parks and ecological industrial zones. The obstacle has been that market mechanisms aren’t complete, and legislation and law enforcement need to be strengthened. Some areas have seen ecological parks and zones set up with much fanfare, but in fact they’ve just wasted resources. But as China’s regions are not equally developed and expansive development is a big problem, a gradual transition does suit China. At the least it won’t create a major issue. Luo: China faces a major obstacle, the planned economy’s habit of running trial schemes. Low-carbon parks are such government-supported trials, but they aren’t commercially viable. So there’s little market impact. The provinces are all developing wind power as it has government support. Meanwhile much wind power investment isn’t market-led, it’s policy-led. That doesn’t help the commercial development of the sector. Huang Haifeng is the global excutive director of EDUI. He is one of the authors of 'China’s Economic Transition – Twenty-First Century Green Revolution', soon to be published by the Science Press. The book will provide a detailed analysis of green, low-carbon and circular development in China’s economic transition.